With my own mantel now, and it being December, I thought it was about time for a little Christmas decorating! I grabbed some decorations from past Christmases and started playing around. It still needs some work, and maybe some Christmasy art for some height (do I hear "DIY project? "), but I think it has some potential... Realizing I had a pretty good stock of decorations made me smile! Are you guys decorating for the holidays? 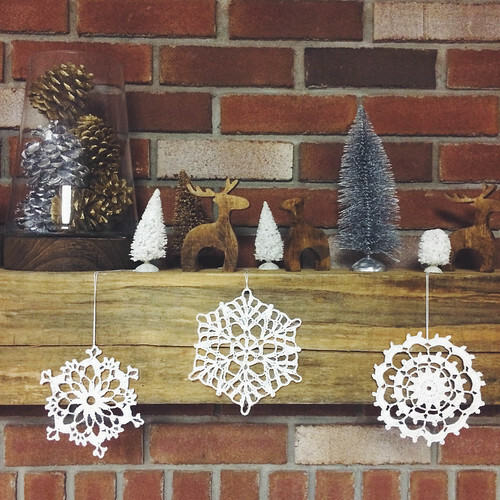 Love these snowflakes on your mantelpiece! Yes, my decorations are going hell bent for leather, I think my crochet hook might catch fire!! !